Clive Efford is to introduce a private members bill with front-bench, party and union backing to remove competition requirements from the Government’s recent Health & Social Care Act, curb hospital’s ability to provide private services in place of better care for all. Privatisation: what is it good for? Everything. That’s what I feel like shouting at the TV and radio when I hear Andy Burnham, the shadow health secretary, pontificating about the supposedly dire effects of competition in the NHS. The first objection to Mr Burnham is that an NHS without private providers is unimaginable. For one thing, no one — even on Labour’s extreme left — is arguing that we should nationalise general practice. But GPs are private providers, acceptable to opponents of the “private sector” because most encounters with the NHS are visits to your local doctor. For another, the buildings, the drugs, the supplies and the machinery — from heavy-duty floor cleaners to CT scanners — are from private providers. It may be true that nationalising GP services is not at the top of anyone’s priorities but many people not regarded as on the extreme left like former SDPer Polly Toynbee nevertheless think “Bevan’s great failure was to leave GPs as small businesses, so the NHS never controlled its key service.” But GPs themselves do oppose privatisation. And though most of them may prefer to remain as private practitioners, they entirely rely on public investment in their practices – which they have not been getting under this government as a result of which crisis hit GP surgeries are forced to turn away millions. There is also a world of difference between self-employed GPs in partnership and commercial companies with a corporate structure and profit-making ethos like Chilvers MacCrea (who now run 40 GP centres) and Virgin Care (who run 31). And Mr Tiernan should take a look too at the campaign to save GP surgeries in deprived areas that depend on a higher public subsidy. As to the other aspects of privatisation which Mr Tiernan regards as “unimaginable”, I would distinguish between the manufacturers of equipment (and even drugs though pharmaceutical research seems to be to be a good example of market failure – lots of high value me-too drugs, no progress with new antibiotics, and patents serving as a barrier to progress) who are suppliers not service providers and buildings. PFI-built buildings are an unnecessary drain on public funds because of the gap between public and private costs of capital. Renationalising them, together with the accompanying debt, is a no brainer for cutting costs. So, the private sector is woven into the fabric of the NHS. The Burnham objection is to “fragmentation”. If that was a real problem he would be asking for one big hospital trust to run all the hospitals in England. He’s not, and that’s because he knows that competition between hospitals drives up standards and provides real choice for patients. Indeed it is hard to find any coherence in Labour opposition to private contracts. Mr Burnham’s big idea — the integration of health and social care — involves large-scale private provision. Councils provide most social care services and they long ago realised that they should regulate care, not be direct providers. That hasn’t led to problems in quality but has led to efficiencies in spending. Who really believes this rubbish about “patient choice”? Many patients struggle to get even to their local hospital. Very few have any real meaningful choice. What everyone wants is good local hospitals, and that is what all hospitals should be. And there is no guarantee that competition with provide it. Market based systems produce expensive not cheaper care. And there’s little doubt what the voters think. 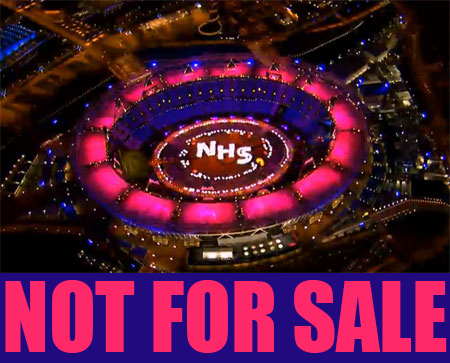 A survey this week showed that an overwhelming majority of voters (68 per cent) in 13 battleground constituencies across the country want to see the NHS protected from further privatisation. The integration of health and social care makes sense. The gaps between the two are a nightmare for anyone in need of continuing social care. It’s true that social care involves large scale private provision – largely because the neoliberal ideology of successive Tory and New Labour governments forced its privatisation. But I know that I’d prefer not-for-profit care for me, as I do for my mother who has dementia. Anyone who has looked at care homes for their elderly parents would not recognise Mr Tiernan’s world of care homes without quality problems. EU Health Regulations – improving patients’ rights or more NHS privatisation in disguise? Posted in: Activism, Health, Labour, Politics, Social Affairs. Why are Labour members not allowed to select Labour Peers? Privatisation is all about wealth extraction and rent seeking. It places an economic burden on everything it touches. When rent seeking is established in the NHS, costs will soar due to rent seeking private health companies. They will put in predatory subsidised bid to get contracts, and once established will increase costs sky high, and charging will then be necessary. This will increase the cost of healthcare in Britain from the efficient 8% of GDP that it was, to closer to the USA cost of 18% GDP. All due to rent seeking. Thssi will kill the poor if they cannot afford health insurance as it does in the USA. Mr Tiernan obviously lacks reflection and the ability to look at the evidence of the USA and Britain before the NHS. Most neoliberals have tunnel vision and work for the banks and global corporations, whilest all the time trying to con us with nonsensical arguments about markets. The reality is, that we live in a rent seekers paradise, not in a free market, and the neoliberals are intent on augmenting it. Are they bought off or are they deluded? McTiernan’s views on the NHS should have about as much credibility as Dom De Luise’s. He is not a policy expert and most recently run the media shop in Julia Gillard’s office, over a period in which Prime Minister Gillard went from a popular and overwhelming choice to overturn Kevin Rudd to a hanging carcass, hated by just about everybody in Australia apart from sections of the feminist left. The media approach being a very very mediocre spin city layer. You have to love labour the use of the high cost of PFI to build and then maintenance of the hospital has made sure my hospital will close, they tried to redo the contract it was refused it will now be settled in a court of law. But my hospital is going back to it old hospital to become a nurse run cottage hospital since in Wales we are told nurses are now highly skilled and highly trained, that maybe why they refuse to nurse any more and like to be seen as mini doctors. After New labour sadly nobody in his right mind would think the NHS is safe with labour, what labour has to do is tell us in plan language what will happen to the NHS if they come in. It’s all about trust does one trust the Labour government which is already telling us things will change, no more tax and spent labour will be more like the Tories in the future. We already have seen the dentist disappeared from the country in Wales we have thousands of people without an NHS dentist and I was told to get insurance, get insurance for dentist how long before GP’s, how long hospitals. Some people never learn. The next New Labour government will continue the transformation of the NHS into an assetless quango that distributes our National Insurance contributions to the fat cat directors of the private companies running health services through outsourced contracts. Andy Burnham himself will go further than perhaps Osborne and Cameron can and he will introduce means testing for access to these services on the back of merging the NHS with social services where that is already established. We cannot rely on New Labour to defend the NHS or restore it to its former glory. With the support of the people the NHS workforce must take the initiative and establish committees of all grades of workers in every workplace linking up nationally to challenge the current management for leadership and to argue for social ownership. I am more concerned about the incompleteness of Andy Burnham’s defence of the NHS than about the privatising wishes of John McTiernan. In the speech linked above Andy Burnham makes many good points and it is refreshing to hear a Shadow Cabinet member being so specfic about undoing the damage done by the Coalition. That’s rather different from the Hunt/Blunkett commitment not to change the educational “landscape” created by Gove. “Hinchingbrooke hospital in Huntingdon is set to become the first NHS general hospital to be operated by a private company after the only wholly NHS bidder for the contract dropped out this week. Under the formula set out by the health secretary, Andy Burnham, last autumn, internal NHS organisations should be the “preferred provider” of services within the NHS. But as Hinchingbrooke is deemed to be a failing trust due to its massive accumulated debt, the regional health authority was able to put the management contract out to tender. Five private health companies – Care UK, Circle Health, Interhealth Canada (UK), Ramsay Health Care UK and Serco Health – are now competing to run the 27-year-old, 369-bed hospital.